The research project 4Oceans recently funded by “Make Our Planet Great Again” program can contribute to co-finance a doctorate (PhD) position for 3 years. The research project 4Oceans seeks to investigate the physiological, ecological and adaptive responses of marine organisms to environmental change (i.e. 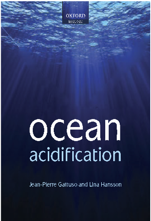 ocean warming and ocean acidification) in the Mediterranean Sea. The 4Oceans project will merge disciplines and will involve i) ecological and physiological field surveys and experiments in marine volcanic CO2 vents, sites in the NW Mediterranean with highly variable seasonal temperatures and extreme heat waves; and sites at the edge of the current distribution of a coral species; ii) ecophysiological laboratory experiments; iii) functional, trait-based analysis and synthesis; and iv) ocean-based solution and restoration actions to minimize the impacts. Integration of physical-chemical and ecological studies will advance our understanding of species and ecosystem resilience under present conditions and future climate scenarios. This position will be based at the Laboratoire d’Océanographie de Villefranche (LOV), Villefranche-sur-mer, France. The LOV is a leading French oceanographic institution dedicated to marine science research. It is a joint research unit of the Sorbonne Université and the Centre National de la Recherche Scientifique. 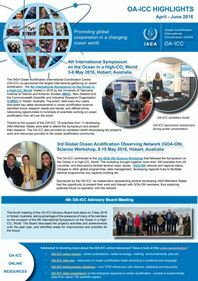 It is internationally renowned in the fields of biogeochemistry, physical oceanography, marine optics, zoo- and phytoplankton ecology/physiology and microbial ecology. PhD applicants: Bright and highly motivated PhD candidate should hold a MSc in a relevant topic (e.g. marine biology-ecology, biological oceanography). The PhD candidate will combine field and laboratory ecological research and will work with team members to integrate oceanographic, ecological and physiological data in synthetic analyses. Statistical analysis (including intermediate-level programming in R) and Scuba diving proficiency and experience is required. Other ideal skills include: a high degree of independence, experience in conducting field and laboratory ecological and physiological experiments, experience with carbonate chemistry analysis, proficiency in written and spoken English, willingness to spend periods of time at field locations, and ability to work in an interdisciplinary, international research group. The PhD student will learn from interdisciplinary discussion with strong emphasis on critical thinking. The PhD candidate will be supervised by Dr. Nuria Teixidó and Dr. Jean-Pierre Gattuso. Dr. Teixidó is a recent laureate of the “Make Our Planet Great Again” program with the project 4Oceans and will interact extensively with the whole interdisciplinary team. Hours and Compensation: The PhD candidate will be given a workspace at LOV, and will be expected to work full time for a duration of 36 months, starting in December 2018. The minimum gross monthly remuneration under the contract shall be €1,758.